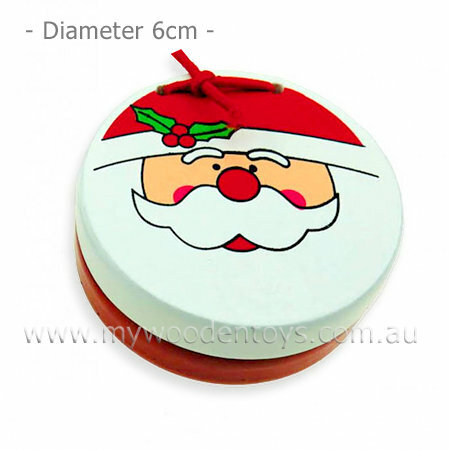 Christmas Santa Wooden Castanet is a lovely Christmas themed instrument with a red and white happy Father Christmas painted onto it. This is a wonderful stocking filler and will add a bit of rhythm to Christmas morning. This castanet is held together with strong elastic so they push together and bounce apart easily. This instrument is a lot of fun, so get ready for some Santa music at your house. We like this because: "bright colours lovely simple Santa design." I have loved all the toys I have received from you. They were delivered so quickly! Thanks so much.